03000 Rosin Core Solder 5/95 1 lb. 03001 Rosin Core Solder 30/70 1/2 lb. 03002 Rosin Core Solder 40/60 1/4 lb. 03003 Rosin Core Solder 60/40 1/4 lb. 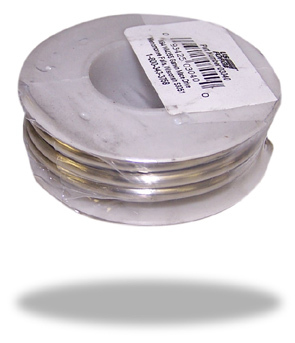 03010 Acid Core Solder 25/75 1 lb. 03020 Acid Core Solder 30/70 1/2 lb. 03023 Acid Core Solder 40/60 1/4 lb. 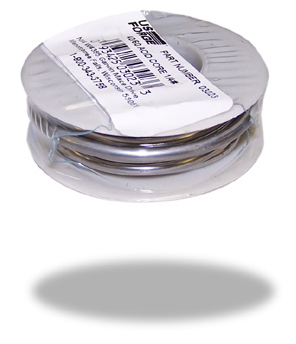 03030 Solid Wire Solder 25/75 1 lb. 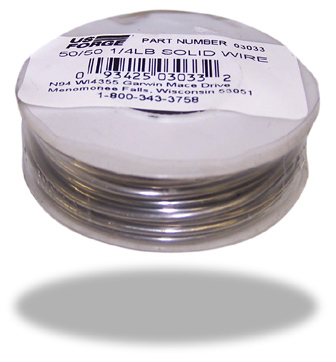 03033 Solid Wire Solder 50/50 1/4 lb. 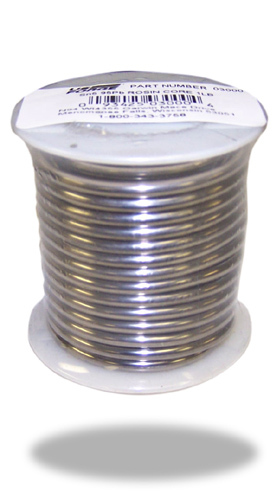 03034 Solid Wire Solder 50/50 1/2 lb. 03040 Lead Free Solder 95/5 1/4 lb. 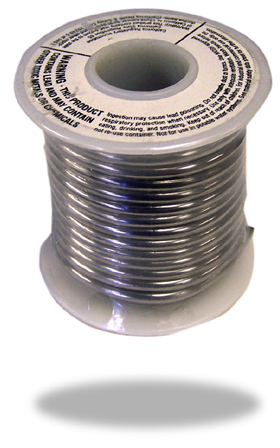 03041 Lead Free Solder 95/5 1/2 lb. 03042 Lead Free Solder 95/5 1 lb. 03051 Liquid Flux 4 oz. 03052 Paste Flux 2 oz. 03054 Aquabond® Lead Free 97 Tin / 2 Cu / ½ lb. 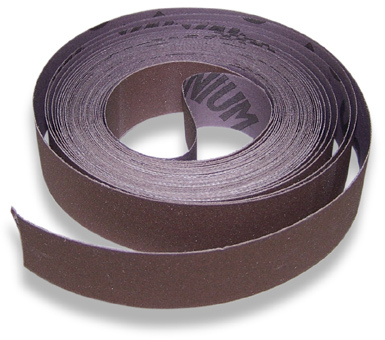 03055 Aquabond® Lead Free 97 Tin / 2 Cu / 1 lb.